1-800-Flowers.com offers Valentine’s Day Flowers starting at $19.99 and Same-Day Delivery! Figi’s offers No-Interest Credit. Order fun-loving Valentine gifts today, and make 3 deferred, low monthly payments with no interest due. 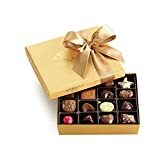 Planete Chocolat also offers valentines chocolate gift delivery. 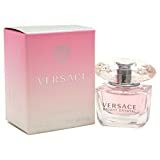 Fragrance is usually a good gift as well I only recommend this if you know her/his favorite fragrance that you both like! 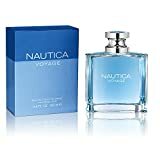 FragranceX is America’s largest fragrance outlet and offers up to 80% off perfume and cologne. Know their favorite magazine or one they wouldn’t splurge on? If the magazine merchant doesn’t offer a printable certificate, buy a single issue at the store with a card saying their gift subscription is on the way! Amazon offers Magazine Subscriptions starting at $5 per year! SpaFinder Wellness 365 gift cards are accepted at over 25,000 participating spas worldwide for spa treatments, vacation experiences, spa products, and more, and they never expire. 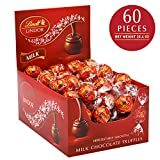 Amazon.com Gift Cards are a immediately in denominations of $5 – $5000! Redeemable for millions of items! Customizable with a personal message. Email a gift card, Print a personalized gift card on your own printer or Send a gift card by mail. Going out to eat for Valentine’s Day? Restaurant.com Get a $25 gift certificate to a local restaurant for as little as $4! Thousands of participating restaurants across the country. Remember the best gifts don’t cost a thing! And if all else fails, make their favorite meal, send a free e-card or print out some love coupons! Hrmm.. Interesting that none of your gift ideas were directed towards a woman buying a gift for a man… I’m sure valentines day is meant to be just as much about showing your male partner you love and cherish him as it is about him showing you the same. It’s also disappointing there wasn’t anything very original in your list.